Rosie and Dan had their marriage ceremony at Eccleshall Holy Trinity Church in Staffordshire. They added ‘Groom Preparations’ as an extra to their package, so I met Dan at his hotel in Stafford a few hours before the start of the ceremony. Rosie arrived at the church in a horse-drawn carraiage – this was a spectacular thing to see. This is the first wedding we have attended where the bride has arrived in this way. After the ceremony we headed over to Eccleshall Castle for the reception. Rosie and Dan had arranged various vintage games to be set up for their guests to enjoy – this added to the vintage feel of the reception setting. The whole day was enjoyed by all and it was a pleasure to be a part of.  Vision Wave Weddings would like to wish Rosie and Dan the very best in their future together as husband and wife.